There are a gazillion things to photograph in Paris. 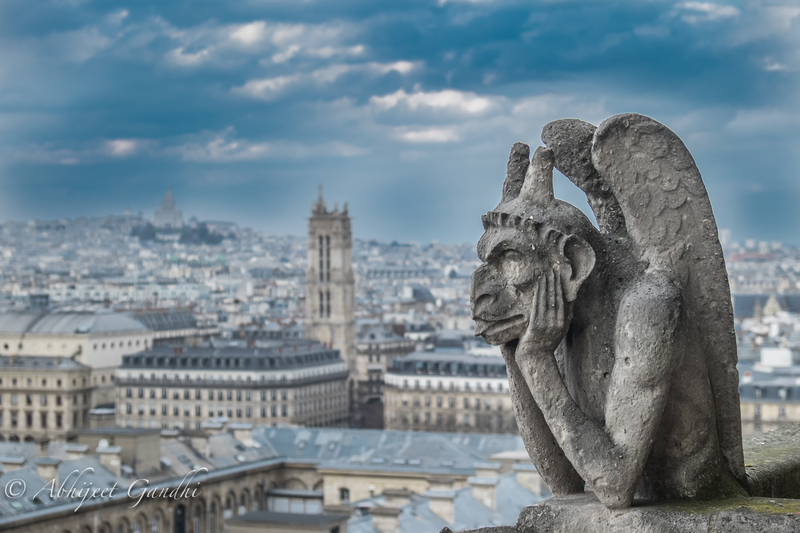 But capturing the gargoyles that sit atop the famous Notre Dame is an achievement of sorts. To reach the upper towers of the cathedral one must climb a daunting 400 steps going upward in a spiral manner. And if the step count wasn’t enough to challenge you, keep in mind that the stairwell was built for the petite monks and not folks with hefty photography gear and backpacks. But once you’ve made the climb, you are rewarded with some of the most magnificent views of the city of lights. Not to mention, the absolutely gorgeous gargoyles!